Mr Ogle, known as ‘Big O’ and a former loyalist spokesperson, was viciously attacked in Cluan Place, just yards from his east Belfast home, on Sunday night. He was taken to the Royal Victoria Hospital but died from his injuries. Mr Ogle was well known in the area and had been involved in negotiations on the controversial bonfire in the area at around the time when his dispute with the local UVF began. At least five men were thought to be involved in the brutal and prolonged attack. The aftermath of the horrific killing was captured on the camera of Mr Ogle’s daughter, Toni Johnston. It was broadcast live on social media, showing Mr Ogle lying in a pool of blood outside his home. Ms Johnston said that her father “didn’t stand a chance”. “We saw the masked men run, we saw the car they got into. I was told that they had got my daddy but we didn’t know how bad it was. We came up the street and saw him lying there,” she said. Mrs Johnston said her family have been living under threat from the East Belfast UVF for 18 months. Her father had given his life to save his family and believes the killers had come to attack his son. She added: “We have been terrorised, threatened not to walk the Newtownards Road and other parts of east Belfast in general. Mrs Johnston said her family were hurt and insulted by the UVF’s denial about the murder and has urged them to stop. “People want to live their lives, go to work and back. Stop it now. There’s no need. It should have been stopped long ago. This could have been avoided,” she said. A relative of Mr Ogle posted online that he was a “true volunteer, murdered by his own”. Notably, there was no comment by the leadership of the DUP or UUP. 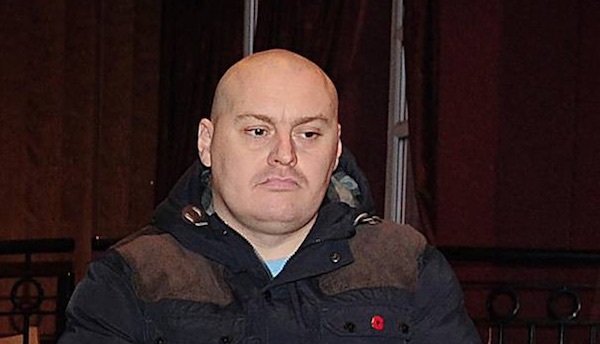 George Dorrian, a DUP Councillor said the “level of violence used... was a disgrace”. And speaking at a vigil which was organised in the area, local UUP Councillor Sonia Copeland said there were “no calls for revenge” and “no demands for an eye for an eye”.